This could not be further from my usual outfits now could it. 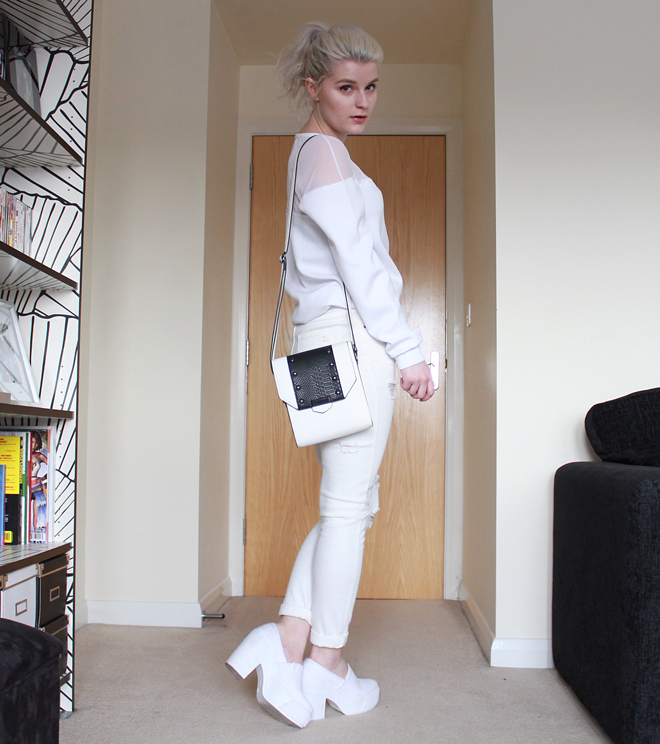 Look at me swapping head to toe black for all white! 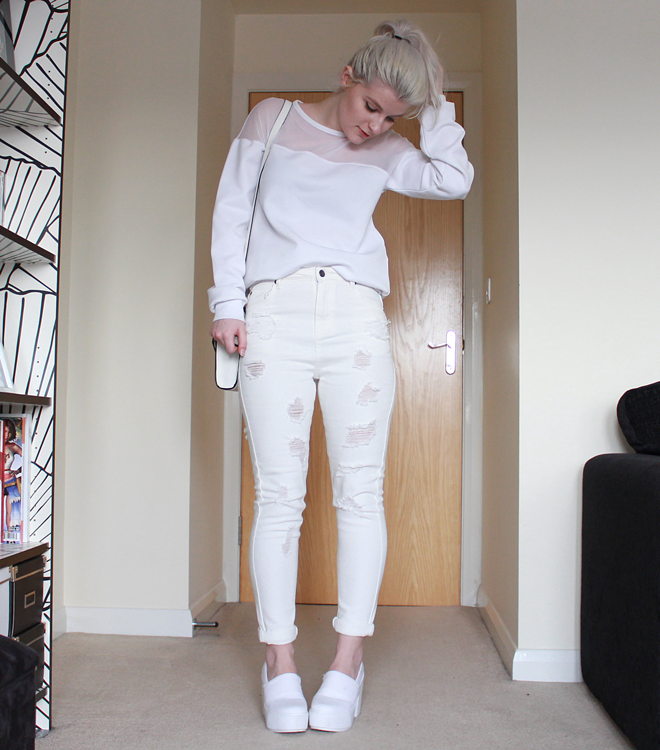 I can confirm that people find white outfits a lot stranger than black... at least in Derby anyway. Got to say, Missguided are truly on point this season. These jeans and snazzy mesh-topped sweater make the perfect combo. The jeans do have a cheeky little rip in the buttock area, which came as a bit of a surprise (shan't be wearing these to work! ), but nothing a long t-shirt can't hide! 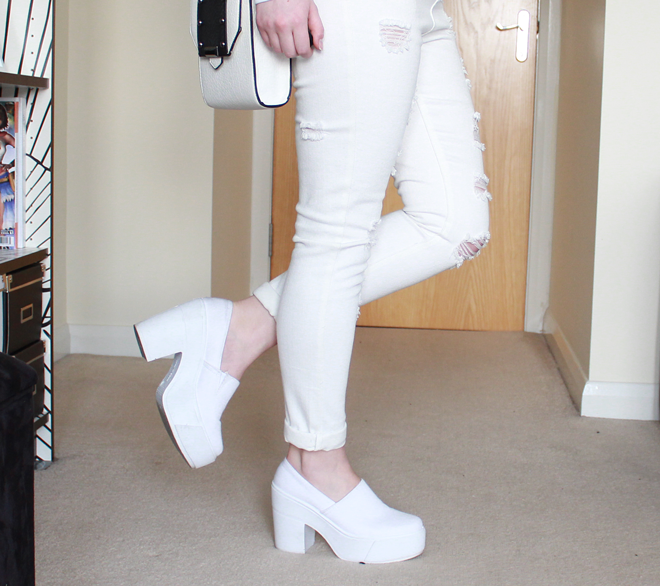 Despite having fallen in love with these ASOS mule-y thangs (the word mule cracks me up, am I the only one? ), they're killer... in a bad way. I am suffering major blistering at their... canvas-y hands, but I'm hoping they'll soften up soon! Love! I brought these shoes and they came today .... so in love with them. I want that jumper its great! Love the distressed jeans and the shoes! 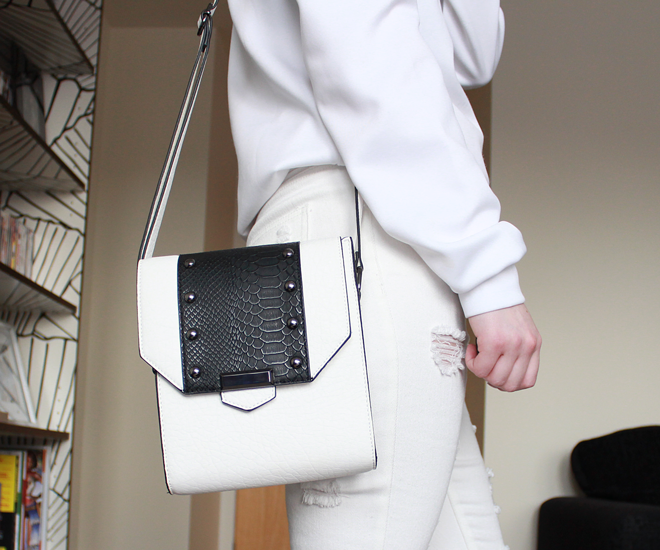 white is quite simply the N E W B L A C K! i love you blog - so i followed it. Love this outfit! The total white look is very fresh and modern, perfect for this season. I hope you can break in the shoes or else it'll be such a shame that you can't wear them, they're gorgeous. I love this white outfit! Perfect! 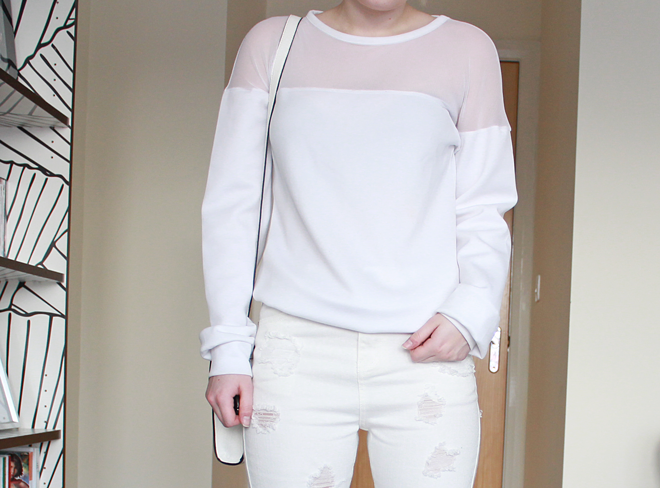 This all-white outfit is so cool, I always wanted to wear only white but this is really a colour I never wear so, maybe still afraid of stains ahah I'm not a little girl anymore but such a pure colour may be dirty at the end of the day, scary ! Lol, I'm kidding, it looks so easyyy to wear it, like an all-black outfit but it is so not, a lot of people find it weird and I don't get why, a lot of colour and print is way more strange than a clean look like this. :) You look good !